When a young reporter knocks on Georgia’s door she knows what his visit is about before he even speaks. Ten years ago, whilst studying at Harvard, a fellow student, Julie Patel, was murdered. The anniversary of her death has sparked renewed interest in the case because the killer was never found. There was, though, a prime suspect, a professor named Storrow. He also happened to be having an affair with Georgia, linking her to Julie in the eyes of the press, despite their barely knowing each other. 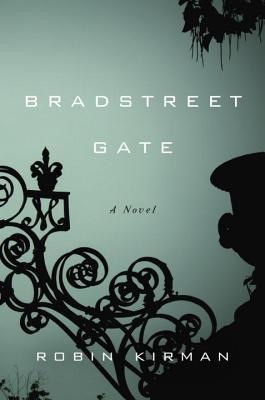 After opening with the memory of the murder and few other facts, Bradstreet Gate goes back in time to when Georgia was a student and how her affair with Storrow started, and ended, before moving on to life after college and then the present of the anniversary. It does the same with Georgia’s best friends Charlie and Alice, who are also linked to Storrow and whose own lives, it appears, have been just as affected by Julie’s murder as his and Georgia’s. These affects though aren’t always that simple. They are to do with the loss of innocence and trust and the impact of one, single, event on the rest of their lives. Told in three parts with chapters focused on the story from each separate character’s point of view (though not told in the first person), this isn’t really the story of a murder but of love, lies and friendships. It isn’t what I expected – I was thinking more straightforward crime fiction when I picked it up – but I really enjoyed it regardless. I liked the way the story was structured, slowly revealing just who each character was, warts and all, and the secrets they are hiding. Kirman does a good job of giving Georgia, Charlie and Alice their own personalities and voices and, although I can’t say I liked them, I did sympathise with them and understood how they ended up as who they were. Each felt real to me and so the final reveal made perfect sense. I haven’t felt that way about a few books lately, so I have a renewed appreciation for a good ending. I was left a happy bunny and will be recommending this book – liked it a lot! No text: I received this book from Blogging for Books in return for a fair and honest review. This sounds so appealing to me, too, especially the way it is structured. And I’m glad to hear the ending held up. Adding to my list! It really was a good way of structuring it. Definitely worth reading. Interesting, I too would have thought it would be more about the murder and solving it. Sounds like you enjoyed it despite the unexpected findings. Absolutely…it was quite a nice surprise!